Was wondering if someone could help me. I have a beautiful mixbreed 4 year old rescue pup that I love dearly. I currently live in NYC but am hoping to move back home to England. I only realised after I got my dog that England has a ridiculous dog ban. I want to move back home to London with my dog sometime this year but am worried that officials at customs may judge him as a banned breed. So, I am planning on importing my dog to Ireland. The vet in NYC will be happy to state that he is a boxer, stuffy, hound mix. Once in Ireland I was thinking of getting the ferry to England with him as I believe this will be an easier route for him. Does this sound OK or do you think I will incur issues somewhere along the way? My dog is fantastically trained, goes to doggy daycare here in NYC. Loves children and people. If you have a vet cert to say the dog is mix breed and if the dog has been spayed/ neutered, then you should have a fairly solid shot at getting it into the uk. What is it's height & weight? Or have a photo? Legally no dog that look's like it could be classed as a type is allowed to enter the UK. I've never been stopped travelling with a dog to or from the UK on the ferry. Of hand I can't think of anyone else who has either. Bringing it in through Eire is the safer option, ask your vet to call him a Boxer x labrador on the passport. When coming over on the ferry have him in a vari kennel on the back seat until you leave the ferry terminal, also it's best to travel on the ferry very early in the morning. Thanks soo much for the feedback. I am attaching a photo of my dog so you get an idea of his appearance. Hes 4 years old, 63lbs. I did speak to someone a year ago at customs and they said they dont even look at the paper work that comes with the dog. They just judge the dog on appearance, and if he falls into a banned breed type then he could be taken away from me. So thats why I feel it will be a safer option to come through Ireland and then get a ferry to England. They don't look at paperwork between the UK & Eire, but do check the passport from all other countries. From what I've seen of them they struggle to read let alone tell the difference between different type's of dog. Getting them in is easy your issue's will start after it's here. I'd advise you to alway's call it a Boxer/Lab cross. No matter who the person asking is, the wrong copper or a bad neighbour are a bane to dog owner's in the UK. Alway's be seen to pick up after a dog and alway's keep it on the lead when out in public. If it's noisy get yourself a bark collar. Get a vet cert for boxer/ lab and also have all your paperwork in order. If you're using a pet travel agent then they should be able to advise you. Going from Ireland to the UK by ferry is easy. Just have a crate for the dog when boarding the ferry. While you're in the UK make sure you keep your dog out of trouble! 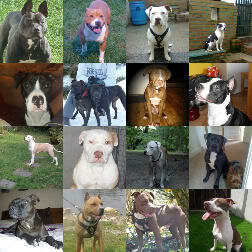 You can have a Pit Bull in the UK as long as you don't call it a Pit Bull. ???? you can only own a pit bull in the uk if it's on the index register and it wiil have to wear a muzzle and be tattoed any thing that looks like a pit bull or pit bull type can be taken. Have you ever been in the UK? I live in the uk and yes you do see lots of type dogs but that don't mean that it cant be seized. if it looks of type it can be taken.